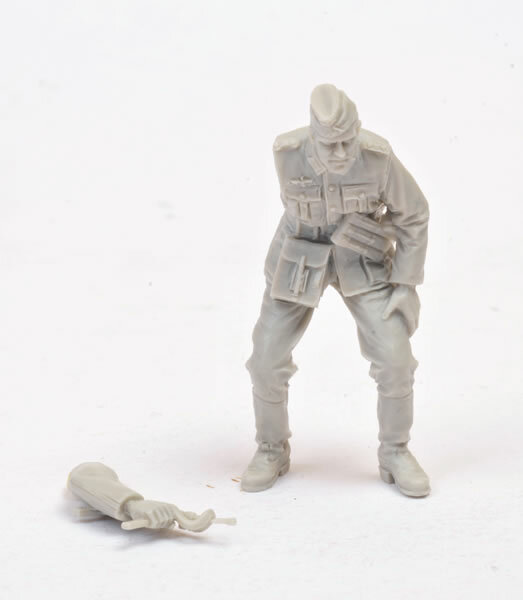 Simple parts breakdown; excellent casting and moulding; versatile poses; minimal cleanup required. 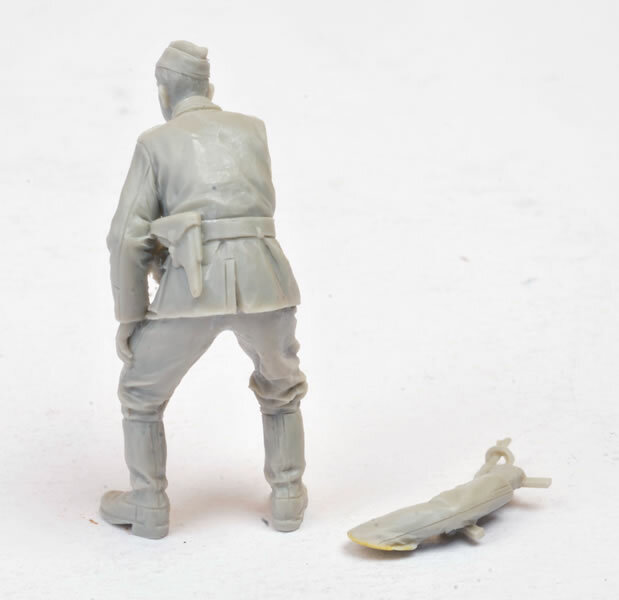 We examined their first foray into 1:35 scale figure modelling, a Modern Russian Tankman, in June. 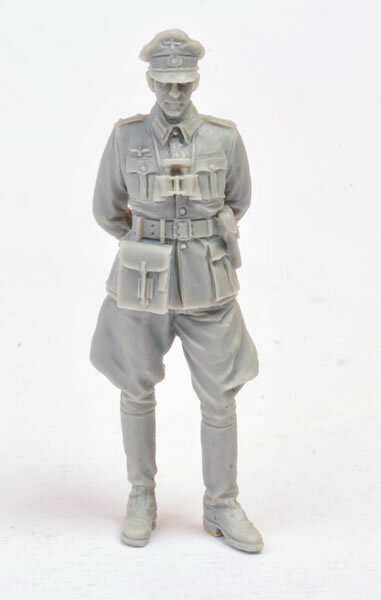 They have now expanded into the popular field of 1:35 scale German figures. Specifically, these are Item No. 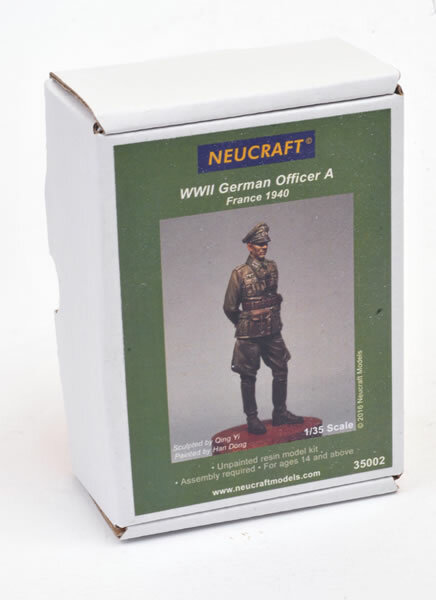 35002, “WWII German Officer A France 1940” and Item No. 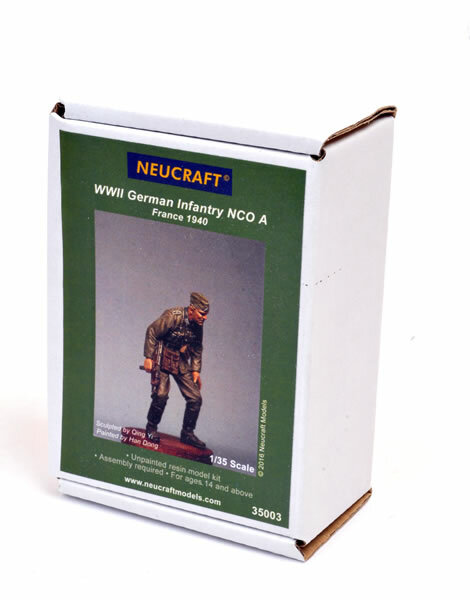 35003, “WWII German Infantry NCO A France 1940”. Both figures are well sculpted in natural, casual poses. 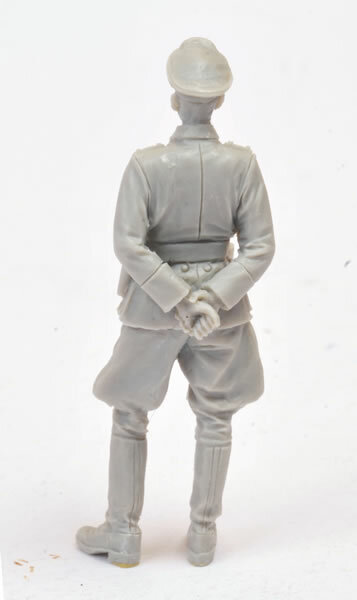 The officer wears his peaked cap and jodhpurs and is standing with his hands clasped behind his back. The NCO is bending down, armed with an MP-40 sub-machine gun and wearing a side cap, suggesting behind-the-lines activity. Fabric drape looks good on both figures. The faces are really well rendered. These are two high quality figures from Neucraft. The relaxed poses and abundance of Blitzkrieg era German vehicle models (or knocked out French tanks for that matter!) makes them very versatile too.